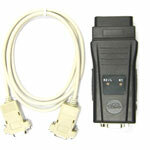 KKL AND KL PRO RS232 AUTO INTERFACE. Automotive diagnostic software. Mileage correction equipment. Volkswagen, Audi, Skoda, Seat etc. 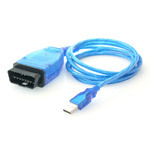 This cable can not work if your car uses VPW, PWM or CAN protocol / bus system (There are 4 kind of bus systems under the OBD2 standard: ISO/KWP, VPW, PMW and CAN). K = Communication Line (A bidirectional halfduplex communication line). L = Ignition Line for waking up the ECU (Engine Control Unit). The unit can work with shareware VAG-COM software. This interface works with free shareware software VAG-COM.